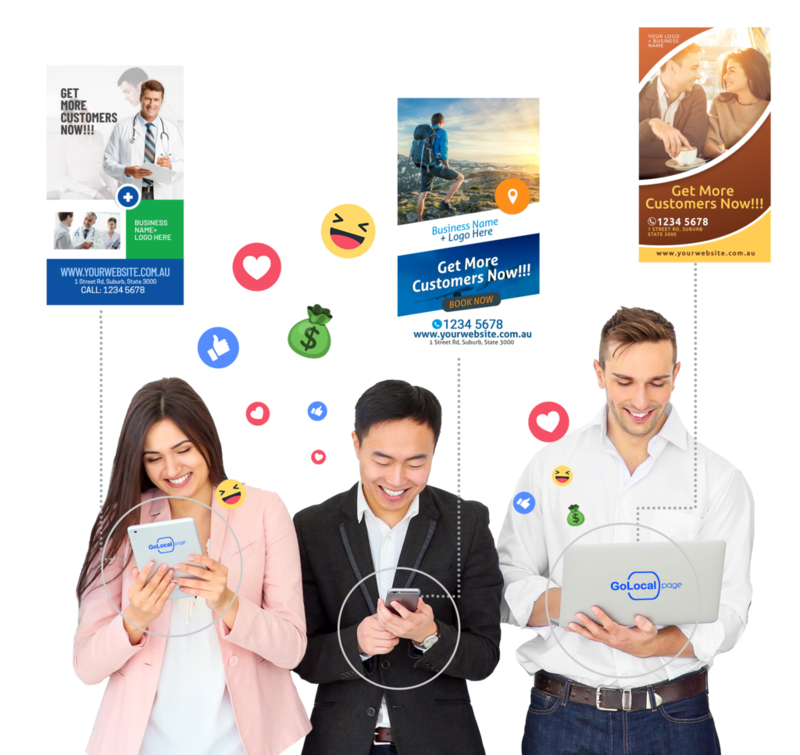 We advertise your business to real customers and help you get more sales through online marketing and promoting you on our large TV Screens that are located in high traffic areas. We utilise the latest Online Advertising tools to ensure customers that are interested in your products and services find you and buy from you. We can target customers based upon what they like, gender, age, location, income, hobbies, lifestyle, occupation and much more. By doing this, we are able to reach people who will actually buy from you to you. We can also advertise your business our TV Screens. These TV screens which are positioned in high visible locations and help businesses, schools and community groups advertise directly to people in their local area. We create simple advertising designs that's tailored to your needs. We then take these designs and promote it online to your customers. Just tell us what you want to promote and we do the rest. Our TV Screens are perfectly positioned in Shopping Centres, Medical Centres and Pharmacies for maximum visibility and promotion. 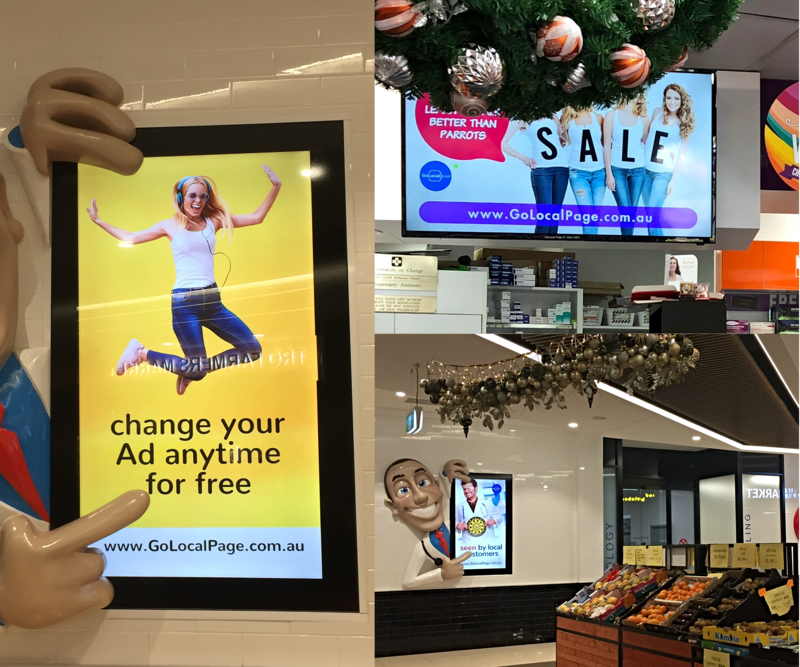 Advertise on our screens and we will display it 260 times a day, all year long. Your business will be seen in a trusted environment and by real people from your community. Copyright © GoLocal Page Pty Ltd.